During the colonial period that lasted from the middle of the 19th century to the middle of the 20th century, writers, even more than painters, followed by photographers and film-directors, were the vectors of representation of the "Islands", this ‘somewhere else', the most renowned of them, Tahiti. Faraway, inaccessible, they fired the imagination of a Europe that was awakening to the mass culture, that which came mainly through text at the time, and in particular the "serials", before the film projection got the upper hand, the painting "exhibition" being reserved for the social elite. These media were the material to access the world while local culture retreated into familial oral tradition to the point of getting lost in it. The travel novel, narrative - or reporting – becoming best-sellers, left a mark on the mentalities, and the most popular of them were put up as plays or made into films that proved to be a tremendous success with a predominantly urbanised and literate audience. Thus, the western imagination of the elsewhere got anchored on the experience and souvenirs of a few travellers, who translated it into images, shows and writings. Exoticism was expressed vicariously, even though it turned into acclimatisation and "relocated" reconstruction for some time at colonial exhibitions. We will try to reconstruct this aesthetic image of Tahiti by analysing works of artists who came to Tahiti. Invariably, the same scenario seemed to reproduce. They arrived in Polynesia with representations in principle. They confronted them with the perceived and experienced reality, during an in situ experience, of varied duration, and their production in turn kindled the imagination of their readers. Favouring aestheticism of the western imagination. In the colonial period we have registered visits of 60 writers, painters, film-directors, composers or photographers to Tahiti. This contingent presented a clear balance between the Anglophone writers (6 Americans and 4 English) and French-speaking (9 French and 2 Belgians). For the painters the gap was obvious between the French (11 painters including Gauguin and Matisse) and Anglo-Saxons (5) and it was the reverse in film production (5 American film-directors for 2 French). Outside these two linguistic domains we only found a few individual styles (Russian, Czech…). Two remarks become imperative on the corpus produced. It did not include "indigenous" production. The filter of the mastery of writing, painting, photographic and film technique had it that Europeans and Americans passed off as intercessors who knew the their audience's expectations much better than their local subject most of the time. Sometimes, their stay was funded by their country, directly or indirectly. Thus Gauguin came on an administrative assignment, Loti as marine candidate. London went to Polynesia in 1907 through an exclusive contract with the Cosmopolitan and Harper's Weekly. Stevenson was funded by Sun of New York. Everyone used each other as source of inspiration, sometimes to the extent of imitating - and this in order to consolidate an overly fragile practical experience – stories of 18th century navigators and compilations of missionaries of the beginning of the 19th century. Although they sometimes imitated the political and scientific theoreticians of that epoch (Deschanel, Reclus), it is important to note that unlike them, and with the exception of Darwin in Tahiti in 1835, or the geographer Aubert de la Rüe, they confronted their a priori with reality on the spot. (Let us point out some exceptions like). Empirical approach that was attached to the objectivisation movement of that period, from science to experimental novel going through naturalist and symbolistic painting. The average period of the stays was short, less than a year and a half for the 60 selected individuals. With the notable exception of James Norman Hall, not many writers lived in Tahiti, while painters seemed to be the most established, staying 11 years on average, and the film directors only passed by, with an average stay of 4 months, because they often made do with filming a scenario taken from a literary work produced by others. Finally, there were a few rare artists who remained in the colony for an extended period of time, sometimes until their death who we find caught between two social groups: on the one hand the colonial society they inhabited, deemed artistically unexciting, which only really produced one novel La grande plantation (The big plantation) by t'Serstevens (1952), and the indigenous society they rarely remained "immersed" for very long. The "indigenisation" of the aesthetes did not ever seem to be acquired. It was denounced by the "good white colonial society", that spoke of "racism" from the moment one openly took a native for a wife. We can also note the almost entirely masculine contingent of the authors, with the exception of Elsa Triolet later on. Tahiti will never have its own Alexandra David Néel. A parallel must be drawn between the unpretentious durations of stay and the dominant literary genre, except in painting. 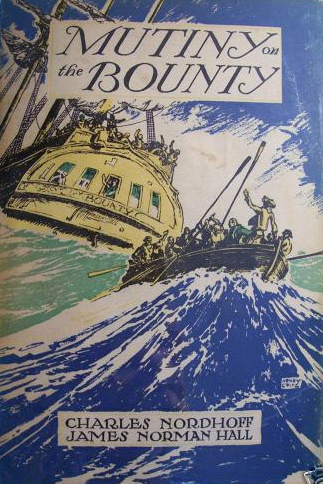 Characteristic literary approach, when it went beyond the travel impressions, was restricted to novelised story, the most remarkable example being The marriage of Loti. From the end of the 19th century the angles of approach were multiplied, with the ethnographic naturalistic novel, illustrated by Les Immémoriaux by Segalen, the novel of colonial mœurs with La grande plantation by t'Serstevens, and pictorial impressionnism with Gauguin. 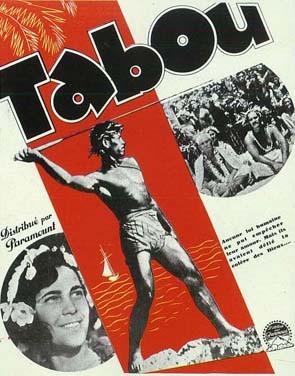 The film production also showed interest in Tahiti at two levels: exoticism (A Tale of old Tahiti by Mélies (1913) or Tabu by Murnau and Flaherty (1928)), were supposed to be tableaux of ancient Polynesia; and that of the adventure film whose only theme would be the story the Bounty piracy handled by Lloyd in 1936, then by MGM in 1960, based on the novel Mutiny on the Bounty by Hall and Nordhoff published in 1932 in Boston. Across all formal varieties, the underlying leitmotiv of any work while also being its source of inspiration was the recurrent theme of "Lost Paradise", offered, of course, in different ways. Tahiti would only present a shadow of the paradisiacal past destroyed by colonisation. Sad acknowledgment that the "initiated" artists invariably volunteered to transcend, by going deep into the Tahitian soul or into the remotest islands. To find parcels of this well-preserved paradise in contact with the natives, having outlived the "colonial" degradation, far from the colonial capital - "Papeete is indisputably sad" (Adams, Letters, p. 251) – outside the "civilisation", became the main "documentary" objective of those who were engaged in a quest for authenticity. This "peripheral" positioning, indeed on the sidelines, was looked on as a special mode of observation as the "artificial" capital grew gathering the settlers, while the natives – those guarded from colonisation – were in the districts and islands. Therefore, invariably, each artist had to go through their initiation period. The idea of this was to have oneself invited by a district head (such as Adams and Stevenson), where one could stay several weeks. From the 1920s, the greatest number of tourists having somewhat dried up the "natural" reserves of the inhabitants' hospitality, a fare or a room with the local population was taken for rent, following Gauguin's example, (as did Matisse, Fletcher or Simenon, who remained very urbanite). If not, the boat was the only abode (Gerbault). The artist's travel thus took a great deal of aspects with a slightly esoteric initiation. Writers and painters were convinced of observing an endangered people and of being the ultimate witnesses of its deteriorating traditions. Therefore, it was a sort of "tender journey" going from the fantastic to deception in one's love for the paradise they devoted themselves to. This journey, such as it was transcribed then into the writings, rarely moved away from the generally superficial exoticism of the travel diary, recounting the arrival and the acclimatization process, before a more implausible immersion. Finally, we state tirelessly - proof, if ever there was one, that the approach remained exogenous – the scenario of earlier descriptions that navigators-discoverers had provided on Tahiti . Two "schools" to explain the situation described were articulated according to the national affiliation of the artist, criteria that seemed to be crucial in this period of imperialism: that of Anglo-Saxon artist-writers and French-speaking artists. The Anglo-Saxons, (Melville, Stevenson, Adams, London, Andrews, O'Brian, and Fletcher), did not stop from shouting down colonialism to harbour it as strictly French, systematically condemning what would by rights be petty, ridiculous and "unnatural". Thus Stevenson, who remarks that English "which can already be considered as the language of the Pacific" also observes that "the children (of Tahiti) have a lot of difficulties or are reluctant to learn French". (Stevenson, pp. 21-22). Adams was disturbed by the interbreeding that characterized the French colony "that is there everywhere. This gives a sickly brownish-white or dirty-white tint, which is reminiscent of weakness, sickness and a combination of the least respectable qualities inherited from the two sides" (Adams, Letters, p. 250). On the other side, the French authors, a priori inimical to the colonial milieu, however recognised an asset in it, that of having combined the "good French taste", for the pursuit of pleasures, with the extraordinary receptiveness of the Maohis for this type of activities. Sometimes, according to certain authors, enthusiasm for "colonial" literature were not sterile insofar as they could have kindled interest and encouraged the arrival of artists. This was how Segalen analysed it in his Essay on Exoticism (p. 52). We will conclude this brief survey of the situation with the statement that the island of Tahiti described, depicted, filmed, produced and implemented during the colonial period was cut off from its ethno-sociological reality to a great extent. In the persavive impressionism of travel impressions, there is hardly any dialogues with the natives, who, for Loti, are now only shadows of themselves as he awaits their imminent and inevitable disappearance. Also, Segalen, outstanding author of an ethnographic novel, felt obliged to warn potential travellers who would venture out to Polynesia on the strength of aesthetic production. It was, he wrote in his Diary from the Islands, at the most about "a lovely Eden, provided that one adapts to the joys of the country and does not demand impossible and extinguished beauties". This "realistic" warning nevertheless built up an "imperialistic" representation in the western imagination that participated in colonisation from that time, with media as intermediary. Some settlers like Fletcher in their memoirs, said having come to Polynesia inspired by their reading. The same artistic corpus would sustain the arrival of tourists at the end of the colonial period. In other words, the aesthetic work, even if it claimed not to condone the colonial design and condemned its principle, was rooted as firmly in its prejudices as its superficial approach to the question of native populations, without even needing to allude to its side-effects of strengthening colonisation, nor even the post-colonial continuation of the process through tourism. Adams H., Letters from the Southern Seas, Hawaii, Samoa, Tahiti, Fiji, Société des Océanistes, 1974 (1st edition 1891) ; Tahiti; memoirs of Arii Taimai, Ridgewood, N.J., Gregg Press, 1968 , (1st ed. 1893). Bachimon P., Tahiti entre mythes and réalités (Tahiti: Between Myth and Reality), Éditions du C.T.H.S., 1990 ; "L'image de Tahiti véhiculée par les artistes Anglophones et Francophones à l'époque coloniale" (The representation of Tahiti as produced by English- and French-speaking artists during the colonial period), The Journal of Pacific Studies, 2004, Vol. 27 N°1, August, pp. 23 to 37. Deschanel P., La politique française en Océanie à propos du canal de Panama (French policy in Oceania regarding the Panama Canal), Berger-Levrault, 1884. Fayaud V., Brosser le mythe et l'histoire d'après les œuvres de Jules-Louis Lejeune, Max Radiguet, Charles Giraud, Pierre Loti : Tahiti et la Polynésie orientale avant Paul Gauguin (1800-1890) (Brushing myth and history based on the works of Jules-Louis Lejeune, Max Radiguet, Charles Giraud, Pierre Loti: Tahiti and Eastern French Polynesia before Paul Gauguin [1800-1890] ), 4 vol., modern history thesis. Loti, Le mariage de Loti (The marriage of Loti), Ed. du Pacifique, reprinting in 1982. Reclus E., Océan et terres océaniques… (Ocean and oceanic lands) T. XIV de La Nouvelle Géographie Universelle, Hachette, 1876-1894. Segalen V., Essai sur l'exotisme (Essay on exoticism), Fata Morgana, 1986. Segalen V., Journal des Îles (Diary from the Islands), Mercure de France, 1956. 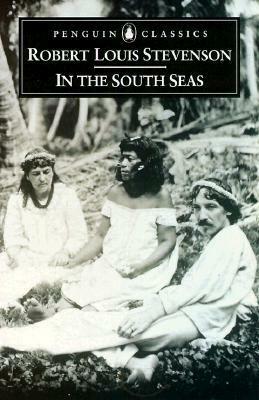 Stevenson R. L., In the South Seas, 1st ed. 1896. 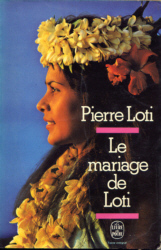 Loti, in The marriage of Loti describes Tahiti as a kind of vacuum that is as much inhabited by Tupapau (ghosts) as by the survivors of the cultural shock. Actually, as all his contemporaries, he believes the Maorie people, who are supposedly only shadows of their former selves, are destined to disappear. This work also has the following title: "The palm tree will grow, the coral will spread. But man will perish." (old Polynesian saying).